This Black Magic is nothing to take lightly! 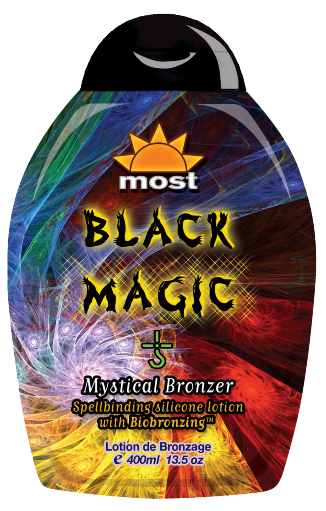 This mystical bronzer conjures results so dark you’ll have admirers questioning who’s behind it. Silicones and Protavanol work together to leave your skin silky soft, while exotic bronzers and Biotanning give your tan spellbounding color worthy of admiration.